Welcome to the website of the Parish of Seaham & Dawdon made up of three Churches: S John the Evangelist Seaham Harbour, All Saints Deneside and S Mary the Virgin Seaham. All our Churches provide idyllic settings and serene atmosphere for private prayer, public worship, community events and those special life events and celebrations. Do come and visit and you will receive a warm welcome. in the Society of S Wilfred & S Hilda and in the Episcopal Care of the Bishop of Beverley. St Johns is situated at the head of Church Street in the heart of Seaham Harbour the historical and beautiful Parish Church which is open daily for worship and events. All Saints Deneside, the Mission Church of S Johns just off the Avenue (Exeter Ave) on the Deneside Estate, a contemporary dual purpose Church building built just over 50 years ago. S Mary the Virgin Seaham (Old Seaham), the ancient Parish Church of Seaham dating back to the 7th/8th century. One of the 20 oldest Churches in England situated on the headland next to Seaham Hall. 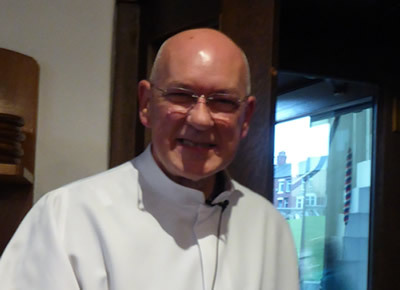 The Parish is grounded in the Catholic faith of The Church of England. 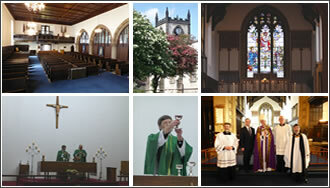 Worship is varied on Sundays at S Johns at 11.00 am The Parish Mass is sung with full Catholic ceremonial. At All Saints a similar but slightly less formal Mass is sung at 9.30am both according to the Roman Rite. At S Mary’s Mass is sung on the first Sunday of each month at 11.00 am, this and all services at S Mary’s are according to the 1662 Book of Common Prayer. Mass is celebrated in the Parish everyday of every week and this is at the heart of our Mission and ministry in the community of Seaham and Dawdon, we are proud to serve. 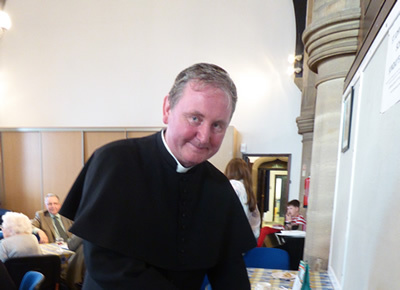 The Parish priest, Father Paul Kennedy SSC Tel: 0191 3665496. Christenings (Holy Baptism) Sundays 12.30pm S Johns & All Saints Saturdays 11.15am S Marys by arrangement. Confessions, anointing and home communion by arrangement with the Priests. Morning and Evening Prayer Daily as announced. Evensong & Benediction Sundays 5pm at S Johns as announced. Festivals Solemn Mass as announced. From Easter 2017 Sunday School at S Johns Sundays 11am.